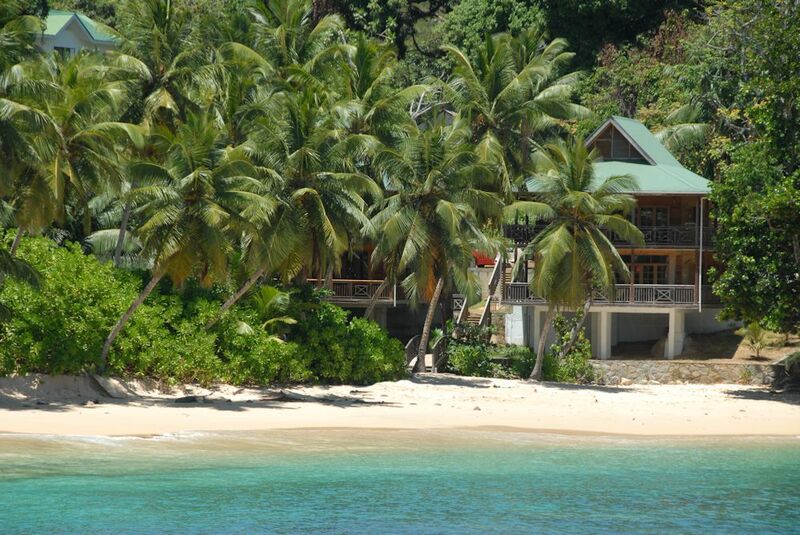 On Seychelles are a lot of beautiful beaches and restaurants. It is not possible to see the beaches everytime from the street. You can reach from our holiday houses several gorgeous beaches and grocery. The public bus costs only 8,- Rupees and you reach the most parts of the island. There is no timetable at the bus stop except at the final stops. You have to wait at the sign "Bus Stop" written on the street. Apart from the longer travel time usually also a longer waiting period is added. Normally you have enough time cause you on vacation, but I think you wanna do better things with your time. Sometimes you have to check several shop to get everything you want. On my opinion the best way to do the most things is to rent a car. It is not expensiv and you have more possibilities. 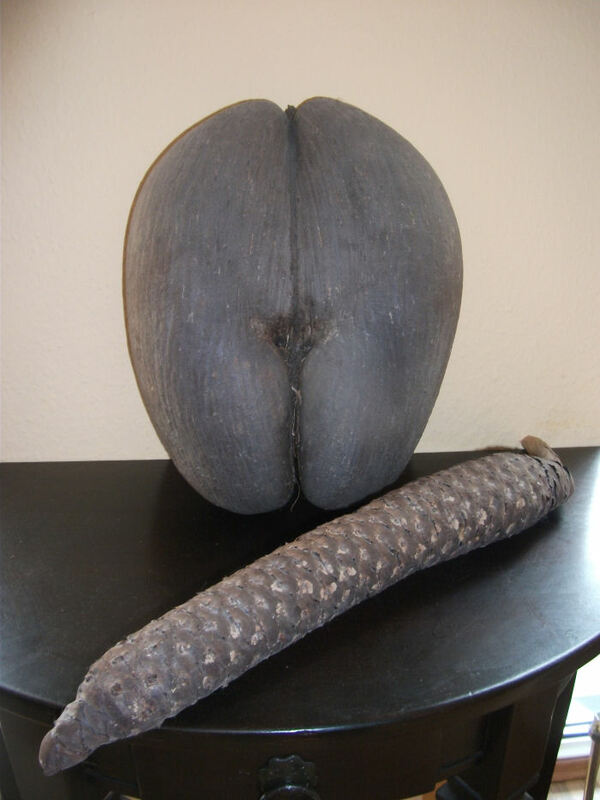 On Seychelles is left-hand drive. At the first time maybe it is little curious. Sometimes there is a rushhour too, mostly around Victoria. There is only one traffic light on Seychelles in Victoria. In case of any questions or problems to buy the right groceries or to find the best beaches feel free to contact us at any time. For your holiday it is not nessesary to have a rental car, but to make some ways a little easier it is not bad. We have a cooperation with a very reliable car rental company on Mahé. 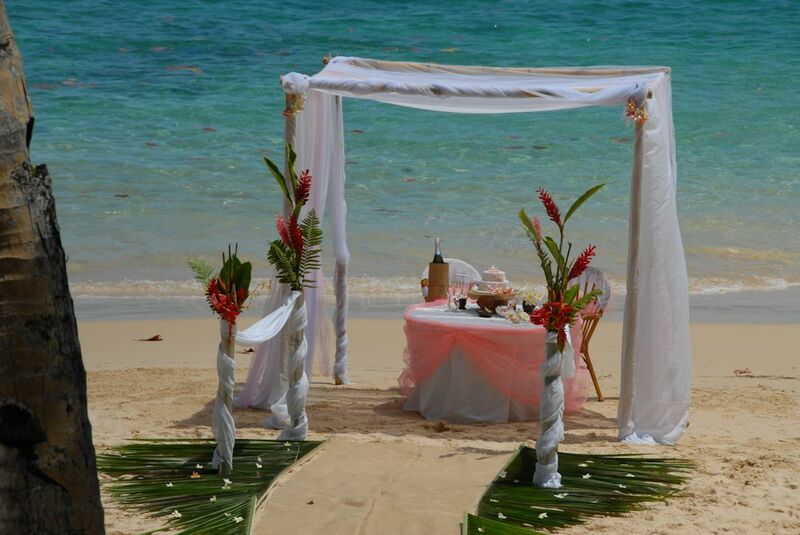 So we have negotiated a very good offer for our guests. The car will delivered to the airport, the port of Mahé or the directly to the suite. Included in the price are all cost like delivery, co-insurance (2000,00€) and tax. You can pay the car cash or by credit card on the delivery day. For the insurance we need a credit card too. 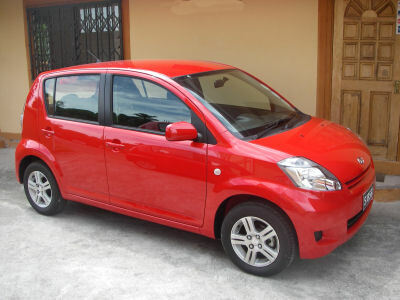 The Daihatsu Sirion is a 4-door car with an automatic transmission. It has 5 seats. 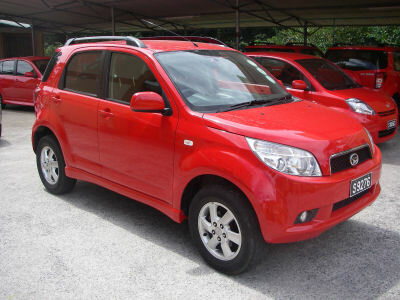 The Daihatsu Terios-1 is a 4-door car and has 5 seats. 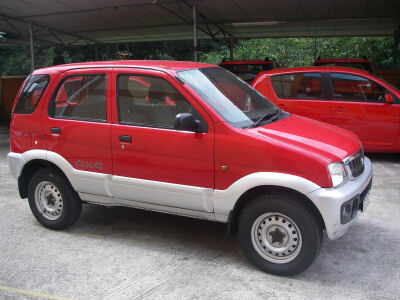 The Daihatsu Terios-2 is a 4-door car with an automatic transmission. It has 5 seats.